A huge tree planting project is underway at the farm. Every year, I try to plant as many trees as I can. I feel strongly about reforestation and giving back to the earth, so the more trees planted, the better. Trees provide habitat and food for birds and other animals, they absorb carbon dioxide and potentially harmful gasses, and they release oxygen. Do you know… one large tree can supply a day’s supply of oxygen for four people? The earth needs many, many more trees! 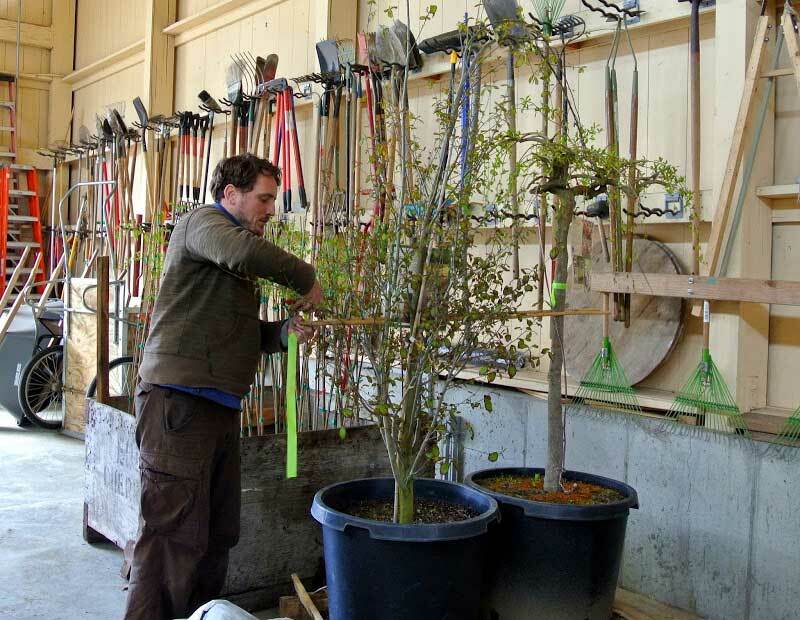 Not long ago, I learned of a wonderful family owned tree seedling company in Salem, Oregon, called JLPN. The company works out of a 200-thousand square foot greenhouse, located on more than a 100-acres of land. Its focus is to grow bare root seedlings for the shade, fruit, flowering and ornamental market. Here are some photos of what we received.